I would like to be able to have a different colour for the cells if the "Replacement/Refund" Field has "refund" in the cell. Not the answer you're looking for? 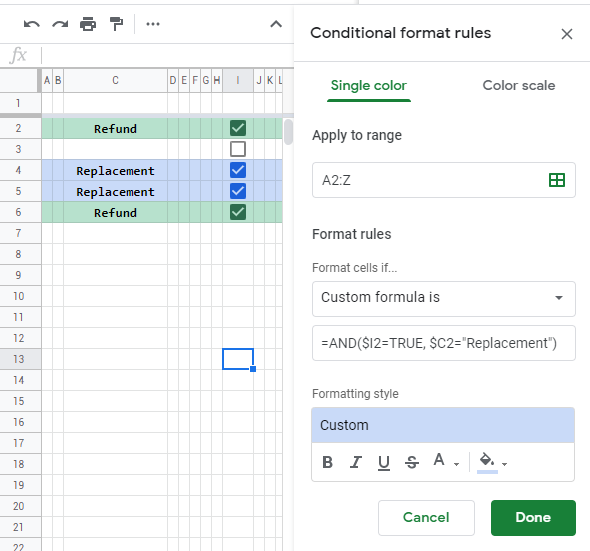 Browse other questions tagged google-sheets formulas conditional-formatting data-validation or ask your own question. 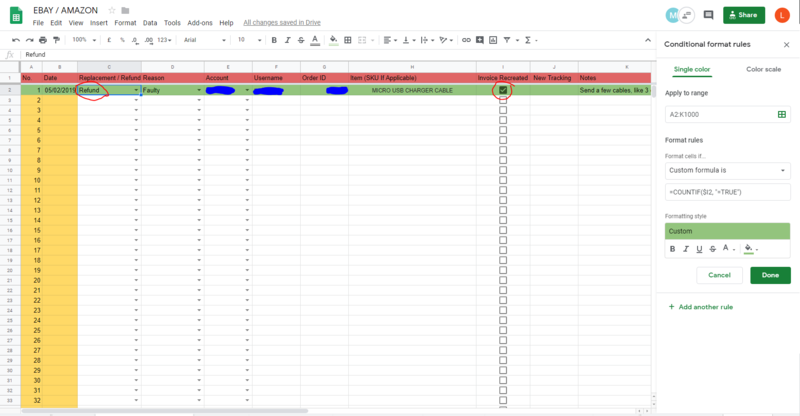 How can I link cells from one sheet to another sheet and keep formatting and comments?